Redectis vitrea - Hodges#8401 (White-Spotted Redectis). Size: approx. 10 mm. Photo: 10/03/11, 11 pm. 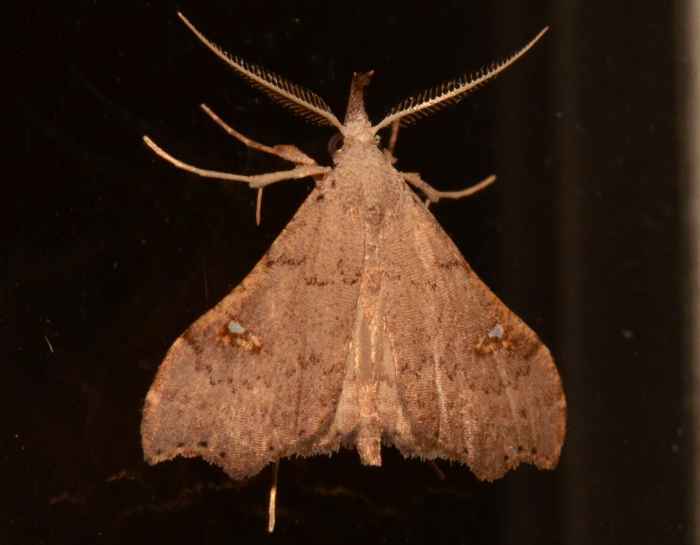 This brown little moth is likely a White-Spotted Redectis (Redectis vitrea). It can be found in the Eastern half of the country but is not very common. Its larvae have been reported to feed on crabgrass. Redectis pygmaea - Hodges#8400 (Pygmy Redectis). 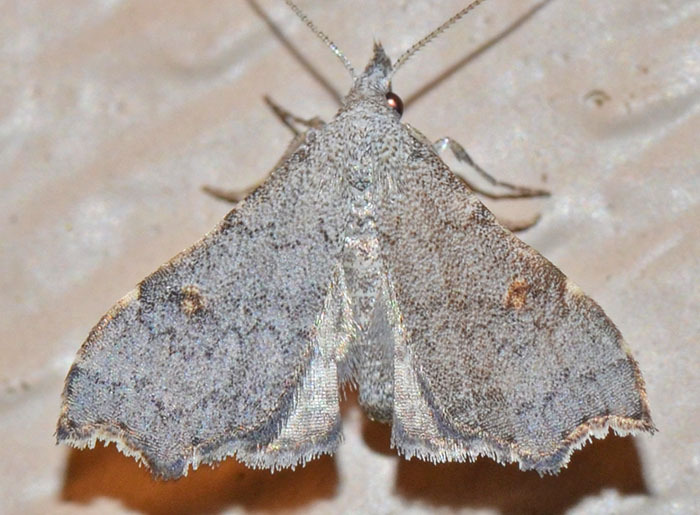 A little, grayish litter moth with a wingspan of close to 15 mm. The genus has two species in North America, so together with the sister species above, this completes the set for my backyard.